On Friday, September 14th, 2018, people from throughout the region flooded into the Second Annual Stamford Brew and Whiskey Festival to taste and experience a spirit-filled event while supporting a worthy cause. 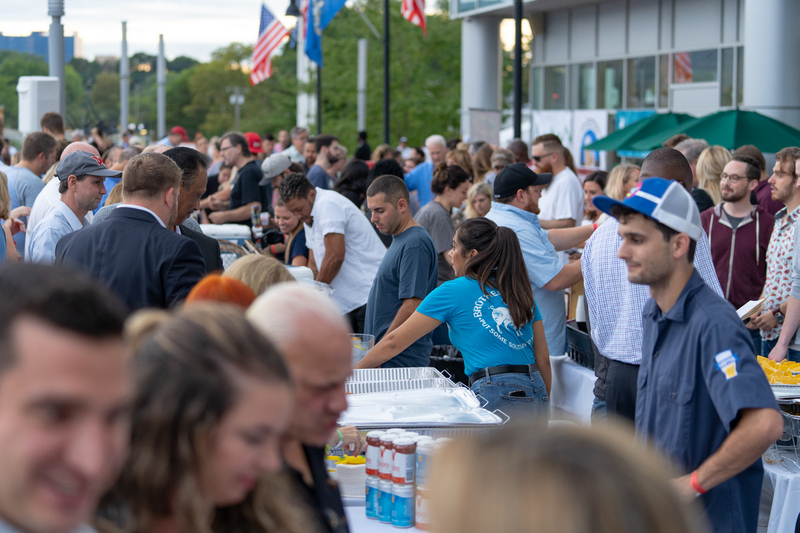 Brews, views, and food attracted over 350 residents from Southern Connecticut and New York to Stamford’s Harbor Point where attendees enjoyed tastings from local beer, liquor, and food vendors. Boardwalk games and the Latin jazz vibes of New York street band, Receta Secreta, kept the night flowing. The Stamford Brew and Whiskey Festival is New Neighborhoods annual fundraiser and this year we raised over $27,000. Funds raised will support our efforts in creating safe, affordable housing and empowering the community. “This event is essential in our efforts to provide Stamford’s affordable housing and much-needed support for those seeking a place to live,” said William J. Healy II, New Neighborhoods President & CEO during the festivities.